As I’ve mentioned ad nauseam recently, I’ve been performing in a big amateur production of a Broadway musical. We do two shows a week all over the country– which is only as big as New Jersey, but hey, that was a good enough start for The Boss. Still, it’s a shlep, to go to another city twice a week after working Ye Olde Day Job, with 27 tons of equipment, giving a big show, then slinking back home very late at night. There’s a team of dedicated volunteer roadies who go in the morning, unload the truck and set up the stage. But then after the show, after greeting the fans and friends, after removing the makeup, everyone pitches in for The Load-Out. Which apparently in Show Business means what we mortals would call the load-up. It has its own special feeling, this activity of taking apart the scene of the masque–illusion dissembled, post-applause, the adrenaline shuffling back into its pen for the night. So, of course, there’s this one song about that, and that’s what’s been on my mind and in my ears, and that’s our SoTW. 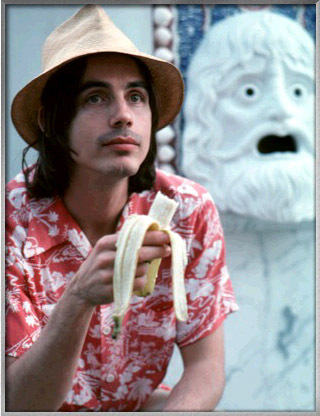 If a Martian came up to me and asked me to play some California music for him, I’d most certainly pick that most quintessential of The Angels, Jackson Browne (b. 1948). In the 1970s, Jackson started out with a series of five spectacular singer-songwriter albums, introspective with a beat and a hook, about California-based themes such as love, opthamologists, angst and cocaine. Then he contracted acute Political Awareness, addressing himself passionately to issues such as saving the Brazilian Rain Forest Blue Bat and Integrity and Cocaine. I enjoy a lot of Jackson’s songs, though I think it’s criminal to mention him in the same breath with his contemporaries James Taylor and Joni Mitchell. Perhaps all three were working out of the same 1970s singer-songwriter idiom, but JT and JM are major artists, and JB is a very talented pop musician. I find his best work touching, effective and affective. But even in his pre-politico preaching days, too often he’s mushy, soppy. Even swishy. But heck, he dated Daryl Hannah, so what do I know about the way these things work in LaLa Land? Anyway, we come not to bash Mr Browne, but to praise him. The last of his personal/poetic albums was “Running on Empty” (1977), a ‘road album’—all the songs were recorded on stage or in the hotel or the bus, and/or dealt with the experience of performing on tour. At the tender age of 15, young Maurice Williams of Lancaster, SC was busy writing songs while his friends were out stealing hubcaps (did they have hubcaps in Lancaster, SC in 1953?). At 17, he somehow got himself and his buddies an audition in Nashville, where they recorded Maurice’s ‘Little Darling’ under the name The Gladiolas. It hit #11 on the R&B charts and #41 on the pop charts, but then got covered by a white Canadian group, The Diamonds, and Maurice didn’t need to work again for the rest of his life. But he did, playing fraternity gigs around the South (well, if they had fraternity gigs they must have had hubcaps, no? 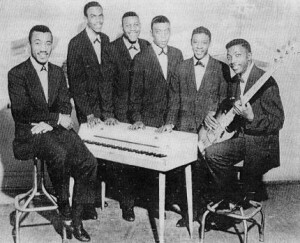 ), and in 1960 Maurice and his current cronies, now known as The Zodiacs, recorded another song he had written back in 1953—to the same girl! ‘Stay’ became as much of a doo-wop icon as its sister piece, and even had the distinction of being the shortest #1 hit ever, clocking in at 1:37. Over the years it was a Top 20 hit for the Four Seasons, Rufus & Chaka Khan, the Hollies, and it’s still sung regularly on Friday nights by many thousands of drunken fraternity boys on both sides of the Mason-Dixon Line. Jackson Browne circa 1977 would end his show (as he does the album “Running on Empty”) with a long, lovely, rambling tribute to his roadies. It’s done on solo piano, and talks about the post-show weariness, the packing up, and that lingering adrenalin that I’ve been tasting so strongly in recent weeks. Here his band slowly rejoins him on-stage, and the song mashes into ‘just one more song’–a revisit to Maurice’s big hit, with the object of affection transformed from that unnamed Little Darlin’ to The Audience. Pretty neat, how these Californians write songs. Here are the album versions of the combo-song. And here’s a video version from 1982 that works pretty much the same way. , with the divine Rosemary Butler providing one short verse and David Lindley providing the Maurice Williams falsetto. I’ve got three more shows to do next week. I’m a professional amateur. No cocaine, no groupies, just a bunch of us enthusiastic townies strutting and fretting our three hours on-stage and backstage, putting on a show and packing it up before we go home to the wife and kids. Pack it up and tear it down. They’ll set it up in another town. When they got up on their feet they made the show. And that’s a sound they’ll never know. Haul them trusses down and get ’em up them ramps. You know you guys are the champs. Before you come for this piano. While the miles roll away. Is the time that we get to play. You can sit there and wait or you can pull us through. A thousand miles away from here. Say you will, say you will. Good but not enough David Lindley. Love his “Mercury Blues”! Completely disagree with your assessment of Jackson Browne’s role in music history, relegating to more minor status when pitted against (as if one could ever do that) James Taylor and Joni Mitchell. I love all three of these artists, for the record. I believe JB’s music FAR eclipses JT’s music. The depth of it is astounding. The poetry. The album (!) known as “Saturate Before Using”, The Pretender, Late for the Sky, Running on Empty — I’d put these up against ANY artist’s work. This is not to diss JT. Not at all. But I think you’ve been cavalier and dismissive about the iconic Mr. Browne. Also agree with Amy. Three of my favorite, probably most favorite, artists are Browne, Mitchell, and Taylor. While I love JT, I don’t think in musically or lyrically he comes close to the other two. I have to agree with Teresa – Not enough David Lindley, but enough to absolutely make this song. It seems impossible that the song would have the same emotional impact without his expressive slide work. ROE is my go to album and “The Load Out” was my go to song for post show wrap up while working in theatre. The album is extraordinary for its concept, insight and engineering and I just love the fact that parts of the album were recorded close to my ancestral home, near Merriweather Post Pavilion. Jackson Browne’s music is quintessentially Californian and for that reason alone holds a special place in my ear and musical psyche. But, while Browne is of California, James Taylor is of the Universe. Cook up a huge batch of pasta, get the cast and crew together and sing every song from West Side Story, with choreography!